Abele, L.; Ollinger, L.; Dahmann, I.; Kleinsteuber, M.: A Decentralized Resource Monitoring System Using Structural, Context and Process Information. In: Trends in Intelligent Robotics, Automation and Manufacturing. Intelligent Robotics, Automation and Manufacturing (IRAM-2012), November 28-30, Kuala Lumpur, Malaysia, Pages 371-378, Communications in Compute, Vol. 330, Springer, Berlin – Heidelberg, 2012. Gerber, T.; Bosch, H-C.; Johnsson, C.: Vertical Integration of decision relevant production information into IT-Systems of manufacturing companies. In: Proceedings of the 14th IFAC Symposium on Information Control Problems in Manufacturing (INCOM 12). IFAC Symposium on Information Control Problems in Manufacturing (INCOM-2012), May 23-25, Bucharest, Romania, IFAC, 2012. Gerber, T.; Theorin, A.; Johnsson, C.: Towards a seamless integration between process modeling descriptions at Business and Production levels – work in progress. In: Tobias Gerber; Alfred Theorin; Charlotta Johnsson (Hrsg.). Proceedings of the 14th IFAC Symposium on Information Control Problems in Manufacturing (INCOM 12). IFAC Symposium on Information Control Problems in Manufacturing (INCOM-2012), May 23-25, Bucharest, Romania, IFAC, 2012. Gorecky, D.; Campos, R.; Meixner, G.: Seamless Augmented-Reality Support on the Shopfloor Based On Cyber-Physical-Systems. MobileHCI 2012, September 21-24, 2012, San Francisco, CA, USA. Virtual Training System, Proc. of the 4th International Conference on Applied Human Factors and Ergonomics (AHFE), San Francisco, USA, July 2012. 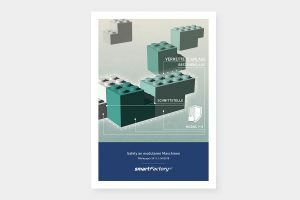 Grün, J.; Gerber, T.; Herfet, T.: Multi-Reality Interfaces – Remote Monitoring and Maintenance in modular Factory Environments. In: Jochen Grün; Tobias Gerber; Thorsten Herfet (Hrsg.). Proceedings of the 14th IFAC Symposium on Information Control Problems in Manufacturing (INCOM 12). IFAC Symposium on Information Control Problems in Manufacturing (INCOM-2012), May 23-25, Bucharest, Romania, IFAC, 2012. Hess, S.; Gross, A.; Maier, A.; Orfgen, M.; Meixner, G.: Standardizing Model-Based IVI Development in the German Automotive Industry. In: Proceedings of the 4th International Conference on Automotive User Interfaces and Interactive Vehicular Applications. International Conference on Automotive User Interfaces and Interactive Vehicular Applications (AutomotiveUI-12), 4th, September 17-19, Portsmouth, New Hampshire, USA, ISBN 978-1-4503-1751-1, ACM, New York, NY, USA, 2012. Hodek, S.; Loskyll, M.; Schlick, J.: Feldgeräte und semantische Informationsmodelle – Plug-and-Play-Integration und dynamische Orchestrierung. In: atp edition – Automatisierungstechnische Praxis (ATP), Vol. 54, No. 12, Pages 44-51, DIV Deutscher Industrieverlag, München, 12/2012. Hodek, S.; Schlick, J.: Plug&Play Feldgeräteintegration – Methoden, Softwarekonzepte und technische Realisierungsformen für eine ad hoc Feldgeräteintegration. Automation Kongress, Baden-Baden, June, 2012. Hodek, S.; Schlick, J.: Ad hoc field device integration using device profiles, concepts for automated configuration and web service technologies. IEEE International Conference on Systems, Analysis and Automatic Control (SAC), Chemnitz, March, 2012. Kümmerling, M.; Meixner, G.: Last Minute Usability: Useware Engineering als externe Unterstützung bei der Entwicklung interaktiver Systeme für Investitionsgüter. In: VDI Wissensforum GmbH (Hrsg.). VDI-Berichte. VDI-Fachtagung Nutzergerechte Gestaltung technischer Systeme (USEWARE-12), 6. VDI Fachtagung USEWARE 2012 Mensch-Maschine-Interaktion, December 4-5, Kaiserslautern, Germany, VDI-Berichte, Düsseldorf, 12/2012. Kümmerling, M.; Orfgen, M.; Meixner, G.: Always in Touch – Entwicklungsprozesse für Infotainment-Systeme im Wandel. In: Elektronik automotive, Vol. 02/2012, Pages 30-32, Weka Fachmedien, 2/2012. Loskyll, M.: Towards Semantic Interoperability in Industrial Production. In: Semantic Interoperability: Issues, Solutions, Challenges. River Publishers, April 2012. Loskyll, M.; Dahmann, I.; Schlick, J.; Schwarz, M.: Context-based Orchestration for Control of Resource-efficient Manufacturing Processes. In: Future Internet, Vol. 4, No. 3, Pages 737-761, MDPI, 8/2012. Loskyll, M.; Heck, I.; Schlick, J.; Schwarz, M.: Context-Based Orchestration for Control of Resource-Efficient Manufacturing Processes. In: Future Internet, Vol. 4, Nr. 3, S. 737-761, 2012. Meixner, G.; Orfgen, M.; Kümmerling, M.: automotiveHMI – Model-Based In-Vehicle Infotainment Description as a Stepping Stone for the Integration of Car and Web. In: W3C Web and Automotive Workhop (Hrsg.). Proceedings of the W3C Web and Automotive Workhop. Web and Automotive, November 14-15, Rome, Italy, W3C, 2012. Meixner, G.; Seissler, M.; Orfgen, M.: Specification and Application of a Taxonomy for Task Models in Model-Based User Interface Development Environments. In: International Journal on Advances in Intelligent Systems, Vol. 4, No. 3+4, Pages 388-398, IARIA, 4/2012. Meixner, G.; Zühlke, D.: A New Paradigm for the Development of Future Medical Software Systems. In: Proceedings of the 2nd ACM SIGHIT International Health Informatics Symposium. ACM SIGHIT International Health Informatics Symposium (SIGHIT-2012), January 28-30, Miami, FL, USA, ACM, 2012. Proc. of the 4th International Conference on Applied Human Factors and Ergonomics (AHFE), San Francisco, USA, July 2012. Ollinger, L.; Theorin, A.; Johnsson, C.: Entwicklung und Ausführung von serviceorientierten Steuerungsprozessen mit Grafchart und dem Devices Profile for Web Services. 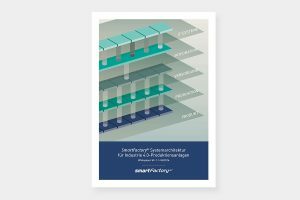 In: VDI Automatisierungskongress: „Komplexität beherrschen -– Zukunft sichern“. VDI Automatisierungskongress (AUTOMATION-2012), June 13-14, Baden-Baden, Germany, VDI-Berichte, Vol. 2171, VDI Verlag, 2012. Orfgen, M.; Kümmerling, M.; Meixner, G.:Analyse von Modellierungssprachen für Infotainmentsysteme. In: Harald Reiterer; Oliver Deussen (Hrsg.). Mensch & Computer 2012 – Workshopband: interaktiv informiert – allgegenwärtig und allumfassend!?. Mensch & Computer , September 9-12, Konstanz, Germany, Oldenbourg, München, 2012.
in Proceedings of the 14th IFAC Symposium on Information Control Problems in Manufacturing (INCOM 12), Bucharest, Romania, May 2012. Seißler, M.; Breiner, K.: Modellgetriebene Entwicklung laufzeitadaptiver Benutzungsschnittstellen für die Unterstützung der mobilen Instandhaltung in ambient-intelligenten Produktionsumgebungen. In: VDI Wissensforum 6. VDI Fachtagung USEWARE 2012, December, 4-5, Kaiserslautern, Germany, VDI-Berichte, Vol. 2179, VDI Verlag, Düsseldorf, 2012. 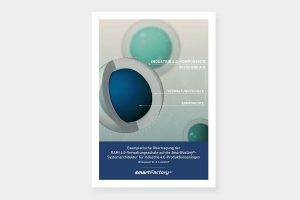 Stork, A.; Gorecky, D.; Stahl, C.; Loskyll, M.; Michel, F.; Sevilmis, N.; Weber, D.: Enabling Virtual Assembly Training in and beyond the Automotive Industry. Proc. of the 18th International Conference on Virtual Systems and Multimedia : Virtual Systems in the Information Society, Milan, Italy, 2012. Theorin, A.; Ollinger, L.; Johnsson, C.: Service-oriented Process Control with Grafchart and the Devices Profile for Web Services. In: Proceedings of the IFAC Symposium on Information Control Problems in Manufacturing (INCOM 2012), May 23-25, Bucharest, Romania. Zühlke, D.; Ollinger, L.: Agile Automation Systems Based on Cyber-Physical Systems and Service-Oriented Architectures. In: Gary Lee (Hrsg.). Advances in Automation and Robotics. Pages 567-574, Lecture Notes in Electrical Engineering, Vol. 122, ISBN 978-3-642-25553-3, Springer Berlin Heidelberg, 2012.